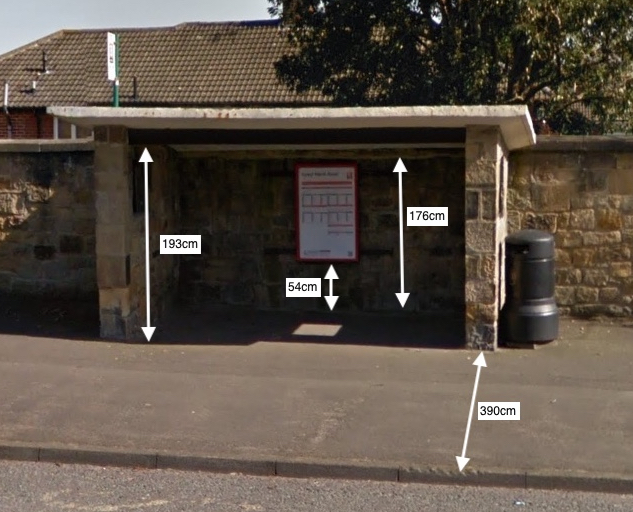 In January 2018, Newcastle City Council agreed to allow North Gosforth Parish Council the option to adopt the two stone/concrete bus shelters on the east side of the Great North Road. In the same meeting, the City Council outlined the concerns that residents had shared with them about these existing shelters and their plans to install new shelters to resolve these concerns and meet accessibility standards. 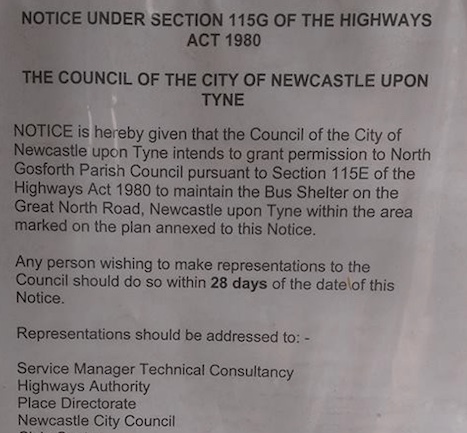 Following this meeting, the North Gosforth Parish Council confirmed it wished to pursue the option so the City Council issued statutory notices to effect this transfer, which were displayed on the two bus shelters. This is the SPACE for Gosforth response to that consultation. Pictures have been added for this blog but were not part of the response sent to the Council. A copy of the full presentation from the January meeting is available as part of our Broadway to Brunton Cycle Lane – Consultation Review. 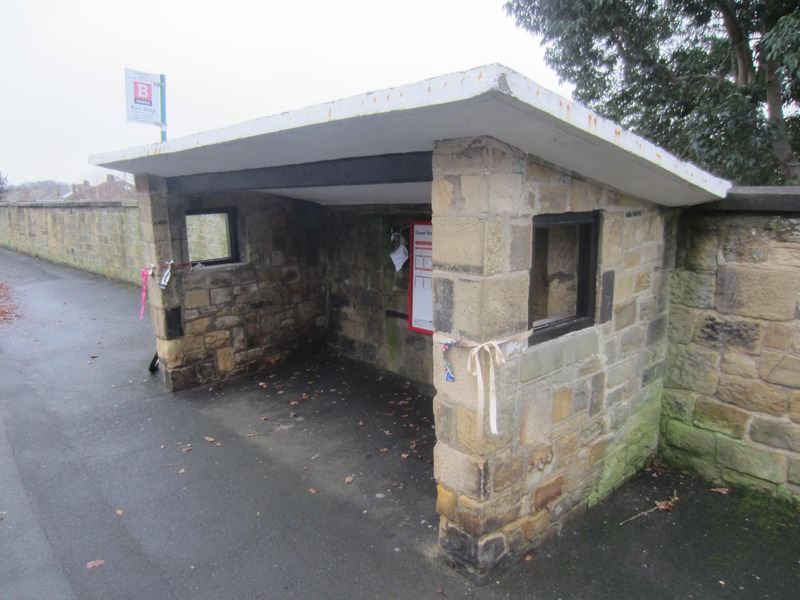 We are writing to you regarding the proposal to grant permission to North Gosforth Parish Council to maintain the Great North Road Bus Shelter(s). 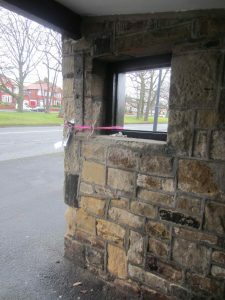 We emailed the North Gosforth Parish Council on 16 April 2018 to seek further information as to their plans for the bus shelter so we had the most up to date information. While we have now received a reply it does not provide any further information on this matter. Although the Parish Council have not confirmed to us directly, we infer from the on-line Parish Council minutes that the Parish Council have not (yet) considered the concerns we raised with them. As there appears to be no plan to address those concerns we find we have no real choice but to object to the Section 115G notice(s). We do wish to be clear that in principle we support the retention of “heritage assets” and the work of community groups to look after their local environment; so if such a plan does exist, or can be created as part of the proposed licence agreement, then we will be happy to withdraw these objections. It is also worth noting that none of these objections should come as a surprise for anyone involved, not least that many were discussed explicitly at the January Golf Club meeting with Councillors, Council Offices, Parish Councillors and petitioners, and that there has been plenty of time and opportunity to produce a plan to resolve these concerns. For convenience we have grouped our objections into five broad areas of concern. New risks to bus passengers as a result of this proposal, especially to older or visually-impaired people. Unaddressed community concerns that informed the previous decision to replace the bus shelters. The need to provide fit for purpose facilities for bus passengers. Conditions for an effective consultation. 1) New risks to bus passengers as a result of this proposal. As the cycle lane can no longer go behind the bus shelter in line with current best practice guidance, Newcastle City Council have proposed that instead the area in front of the existing shelters will become shared space. We presume this will require additional bollards / signage either side to advise of the change to and from separate lanes. 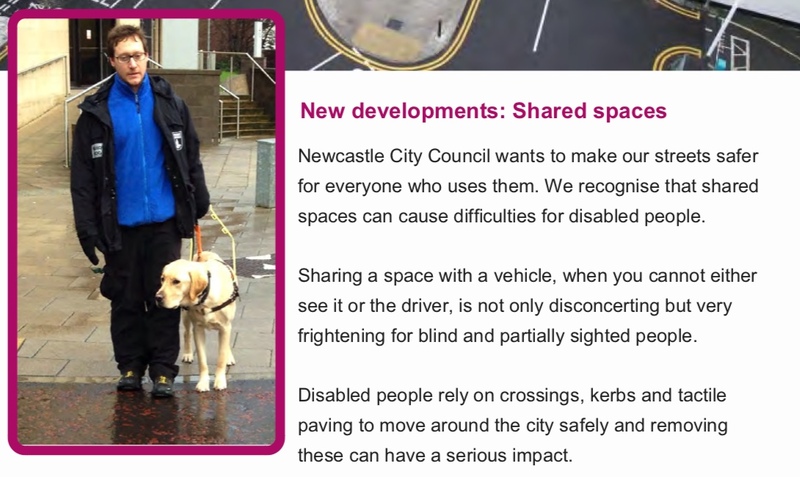 a) We would like to draw the Council’s attention to the RNIB’s campaign against shared space and the similar campaign from Guide Dogs for the Blind. While these mostly relate to people sharing with motor traffic, and while the risks of shared walking/cycling paths are much less, we feel the same broad principles should apply here. Our measurements suggest it should be possible to maintain clearly identified separate space at this location with or without the retention of the current bus shelters and that the proposal should not proceed until this is confirmed. b) The location of the shelter on the far side of the pavement means that people wishing to use the shelter will have to cross the cycle lane when the bus is arriving in order to attract the bus driver’s attention. This means their attention will be focused on the bus rather than on approaching cyclists, which could put them and the person/people approaching at risk as a result. c) Further, as the sides of the stone shelter are not transparent, and with no plans to improve visibility, anyone approaching on a cycle may not see or be aware that someone is waiting for a bus and might step out unannounced. In contrast, the original proposal for the cycle lane to go behind the bus shelter would have allowed bus passengers to cross the cycle lane on arrival and then not have to worry about people cycling when boarding a bus. 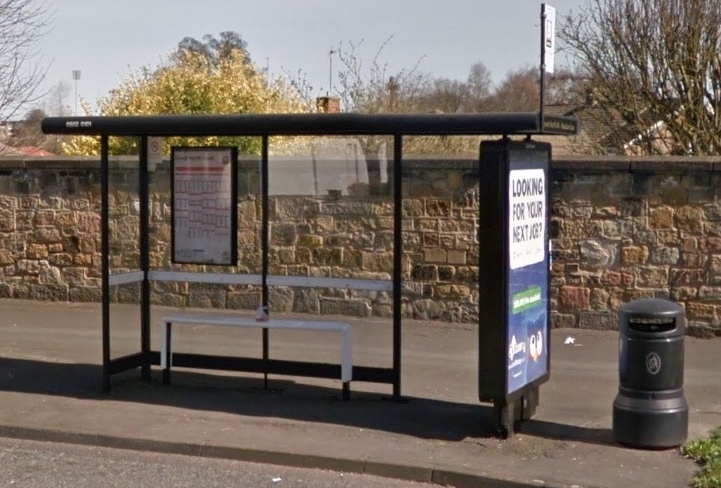 Likewise, the design of the replacement bus shelters would have ensured maximum visibility between people cycling and those getting on or off a bus. We have identified a number of likely unintended consequences that we also feel need addressing as part of this proposal. Items (a) to (c) arise as a result of the issues stated above. a) If the proposed shared space makes people feel less safe then it is likely to discourage people from using local public transport, making it more likely they will drive instead, adding to congestion and reducing air quality for all road users. b) It would also reduce the usability of the cycle lane for people doing longer journeys who wish to cycle more quickly. This would encourage people to continue to cycle in the bus lane, potentially delaying buses and reducing the safety benefits that should be achieved through implementation of this scheme. c) Designed-in conflicts such as those highlighted above will, in the long term, risk eroding community support for similar schemes in future, which are critical to achieve widely-supported policy objectives relating to air quality, public health and children’s wellbeing. We understand that funding is not always available for the highest quality designs, however in this case the Council has already outlined an approach that is within budget and avoids these issues. d) We understand that the Council had intended to make revenue from advertising on these bus shelters and we presume this future revenue stream, though perhaps not of great consequence, will now be lost. We do feel, however, that the Council should be clear in the licensing terms as to what advertising is allowed to avoid the possibility of large and unsightly advertising, to set out how any advertising revenue is to be split and/or how (or if) the Council is to be compensated for forgoing this revenue. 3) Unaddressed community concerns that informed the previous decision to replace the bus shelters. In December 2015, the City Council published a consultation to provide for safe cycling and improved crossing facilities on the Great North Road. 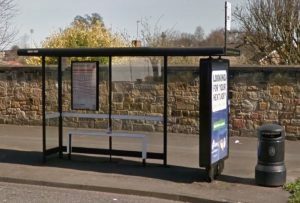 That consultation, which was widely publicised, included the proposal to remove the stone/concrete bus shelters and no comments were received at that time regarding the shelters. a) Issues of personal security where passengers could not be seen inside, or be seen by bus drivers. b) That people do not feel the stone shelters give a good image of modern public transport – e.g. challenges with installing seating and real-time information. 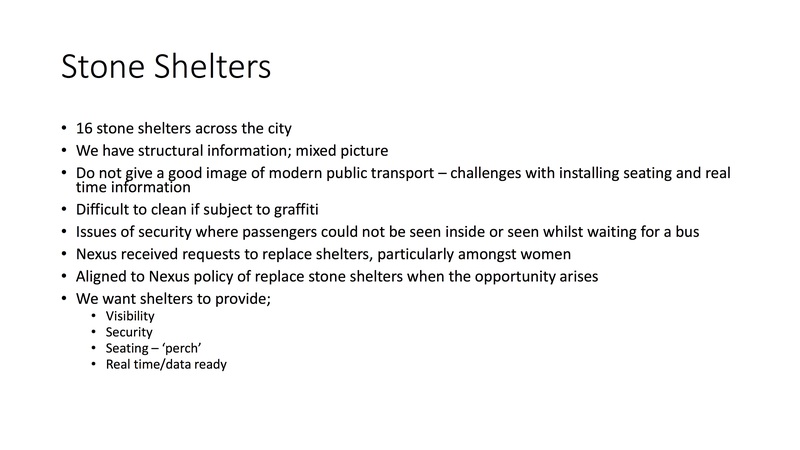 c) Specific requests to replace the shelters, particularly amongst women (reasons not given). d) Difficult to clean if subject to graffiti. e) Discussions in local on-line forums have also highlighted that people feel the existing shelters are dark, have no seat and are a bit smelly. 4) The need to provide fit for purpose facilities for bus passengers. At the same meeting the Council outlined its intention to improve bus shelters across the city. Any plan to transfer maintenance of bus shelters should ensure all of the following Council-proposed objectives will be fully met at these locations for the benefit of current and future bus passengers. d) Real time / data ready. e) In addition, we have identified that roof and window heights are not suitable for taller people, and that people using a wheelchair are unlikely to be able to see out of the window to see approaching buses. 5) Conditions for an effective consultation. Whilst the original Broadway to Brunton lane consultations were widely publicised to local residents and contained detailed information about the proposals, as well as opportunities to speak directly to Council staff about those proposals, the consultation for this transfer gives practically no information and only minimal opportunity for the community to express an opinion. Given a main subject of the petition that lead to this proposal was the need for effective consultation, we are surprised that the petitioners themselves have not called for a wider consultation, have not sought to publicise the opportunity to comment and have not provided available information to residents about the pros and cons of this proposal to allow residents to come to an informed decision. We do understand that it will never be possible to have a perfect consultation, but as a minimum this consultation should set out the main consequences of retaining the bus shelters and state how the issues identified will be addressed to ensure a good quality outcome for residents and bus passengers. Given the retention of the current bus shelters would result in a change to the street design from that previously advertised, we feel the consultation should also be treated in a similar manner to a traffic consultation and include engagement with all affected user groups including those representing the visually impaired or people with disabilities more generally. In this regard, the Council has made a commitment via its Street Charter to “take additional steps to make sure blind and partially sighted people are fully consulted on all shared space proposals”. Is any particular level of maintenance committed to? Will there be a facility for reporting urgent issues and how will the Parish Council ensure a quick response? Is the Parish Council committing to ensure compliance with relevant legislation e.g. if the shelter is found not to be compliant with the Equalities act because it is not easily usable by people with wheelchairs and/or people with mobility issues that mean they cannot stand for long periods, is it the Council or the Parish Council that will undertake and fund changes to put this right? In the unlikely event of a major structural failure (which could be due to a failure in the maintenance regime) would the City Council or the Parish Council be liable for the cost of rebuilding the shelter and/or for injury or death caused by the collapse of the shelter? We note the Council briefed petitioners (including Parish Councillors) at the January meeting that similar structures in the UK had collapsed following collisions, leading to the death of people waiting inside. If the Parish Council is liable but does not have assets to cover these liabilities, how would the Council recover the uncovered costs? Our objective in sending these comments is to help improve the scheme to ensure it is the best quality possible for residents and bus users, which I am sure is an objective shared by both the City and Parish Councils; and to ensure effective community engagement in the process. We understand that as the formal deadline for comments has passed the Council and/or the Parish Council could ask that these concerns are disregarded, however we do not see why it would be in anyone’s interest to do so. As stated above, pretty much all of these concerns have been raised previously so there should be no excuse for not already having plans to address these. For reference, SPACE for Gosforth’s previous blogs on the Broadway to Brunton scheme can be found at this link http://spaceforgosforth.com/tag/broadway/ We will publish this letter as a further blog in the near future. Good work. I’m all for leaving things as they are if they work, but some people will go to any lengths to avoid change, even if it’s change for the better.